There are some great examples of how ideas spread in his ebook on the Top 10 unsigned bands from MySpace who just give away their music as a means of promoting themselves. Artists like Bec Hollcraft who know full well the goal is attracting enough attention and leveraging buzz marketing to get a record deal. It reminds me of the Grateful Dead who were hip to this idea long before Bec was even born. They had special taper sections where deadheads could tape FOR FREE the bands show and reproduce it for anyone who asked (so long as there was no exchange of money, which was one thing the band was against). Its brings into view the theory that the best way to spread ideas is to give them away for free – then why do B2B marketers have whitepapers hidden behind signup form? That means free whitepapers were downloaded 67% more than, what we like to call, protected whitepapers. If you think about the last few products you purchased. Did you see an ad on TV? Did you answer a direct mail piece? Go to a tradeshow to learn more about it? If you’re like most people, you didn’t do any of those things – you just went online. So it begs the question – why are we marketing in the same old ways? 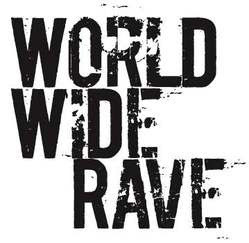 5 comments to World Wide Rave – Works! I agree with David Mirman Scott and the WWW Rave concept. Think of how registration has changed. Big signup form — too big, cut it down. Smaller signup form — too big. Email only. Now we realize no form at all is best. We want people to start talking about it. But letting go is scary. I agree that registration in front of white papers not only decreases your downloads but also may invite fake info in the registration forms as people want to preview the content before deciding whether or not to proceed in the process. Too many times, people are putting “brochure” copy behind registration forms, which I think defeats the purpose. I think B2B marketers are too focused on getting the “lead information” without realizing that free content can increase the quality in the long run. I believe the B2B maketers who get this are probably the ones who also understand the value of social media. These marketers will reap the benefits as others seek to catch up. Do you agree? Nice post. I believe that the “how ideas spread” aspect of all the new media hype is really valuable. What lots of companies lack is a framework to evaluate what role which new media play in their business. That’s what I’m working on now. Hey – great website, just looking around some blogs, seems a pretty nice platform you are using. I’m currently using WordPress for a few of my websites but looking to change one of them over to a platform similar to yours as a trial run. Anything in particular you would recommend about it?